Mountain Mavericks Morzine meets Snow-Camp! 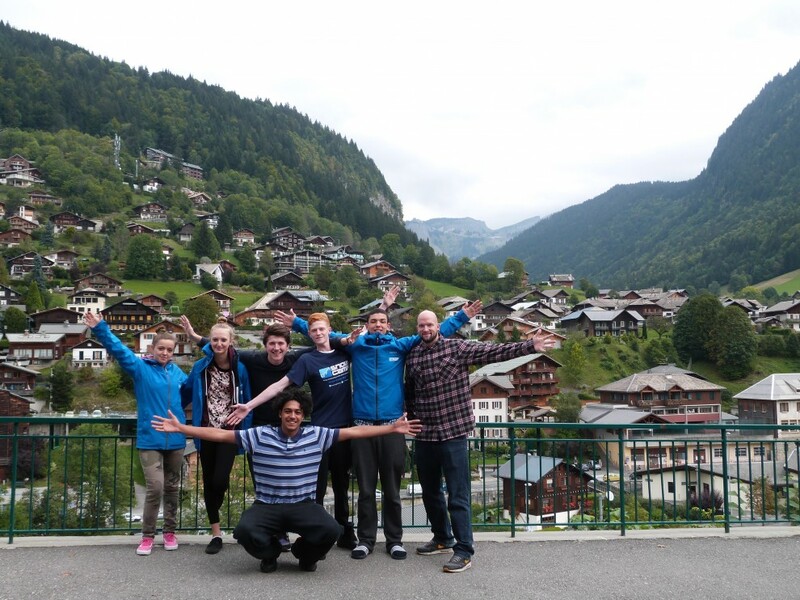 Snow-Camp come to Morzine this Summer! This summer I had the pleasure of spending an hour or so with 2 of the guys who have come through the ranks of Snow-Camp, the amazing youth charity bringing the snow to the kids of inner city London. How did you get involved with Snow-Camp? JJ – My Uncle knew about Snow-Camp and put me forward for the First Tracks sessions held at Hemel Snow Centre. J – I watched a presentation at Youth Club about it and also went to the First Tracks sessions at Hemel! I never would have gone were it not for that as I couldn’t afford it. How did you feel after that First Tracks session? JJ – I loved Skiing! I never would have had that opportunity without Snow-Camp, I was hooked on skiing! JJ – I took part in the Graduate course which really teaches you how to ski or snowboard across the weekend. I really loved the way the skiing and life skills sessions allowed me to focus on myself, to forget about being judged and to speak up and follow my path as an individual. J – I also took part in the Graduate course learning to snowboard and just loved the way Snow-Camp was changing the view I had of myself. When I had thought before, I can’t do that, I might fail… Now I think, I might as well try, why not! Where about’s are you now in the Snow-Camp programme? JJ – Well after the graduate course i have taken part in the Snow-Camp Italy and Excel courses which means I am now a full qualified BASI level 1 instructor! It means I can help teach the other kids starting out on First Tracks and show them where they could be! Instead of being on my media course at college, knowing it wasn’t right for me but not knowing what to do, things being up in the air, I went to Italy and became a ski instructor and I have never looked back! After applying and going through the interviews I am now on the Snow-Camp Apprentice Course which means I work Full Time for Snow-Camp, I help teach and am also completing an NVQ. J – I followed the same path as JonJoe and am also on the Apprenticeship. If I hadn’t have done that I would still be sat behind a computer unhappy! I used to be so shy and I have changed so much since the beginning. I wouldn’t have even had the confidence to talk to you! You really learn that you have to step out of your comfort zone to find out what you are good at. Where do you see yourself after the Apprenticeship with Snow-Camp? J – I am not sure yet as I know there are so many opportunites now that I didn’t have before. I am learning all about the chalet roles and the different levels I could be as an instructor so I am not sure whether I would like to pursue being a freestyle coach eventually! How has the Chalet Host Cookery Course helped you this week? J – Without the Alpine Challenge we would not have been here now! In short, how has Snow-Camp changed your life? JJ- I am focused now and know the path I am going on! I have learnt that it’s down to me! I never thought I would be skiing in the Alps! J – I am not shy anymore and will give things a go as you never know what you are capable of until you try! It was brilliant chatting to JonJoe and Jasmine, it’s great to know that the money raised at all the events that Snow-Camp host and the support offered to them is really being put to good use and can really change the lives of young people for the better! If you are interested in the Snow-Camp Alpine Challenge for 2015 then check it out here and don’t forget you can book into stay at our Hotel L’aubergade which is the official start and end point of the challenge!